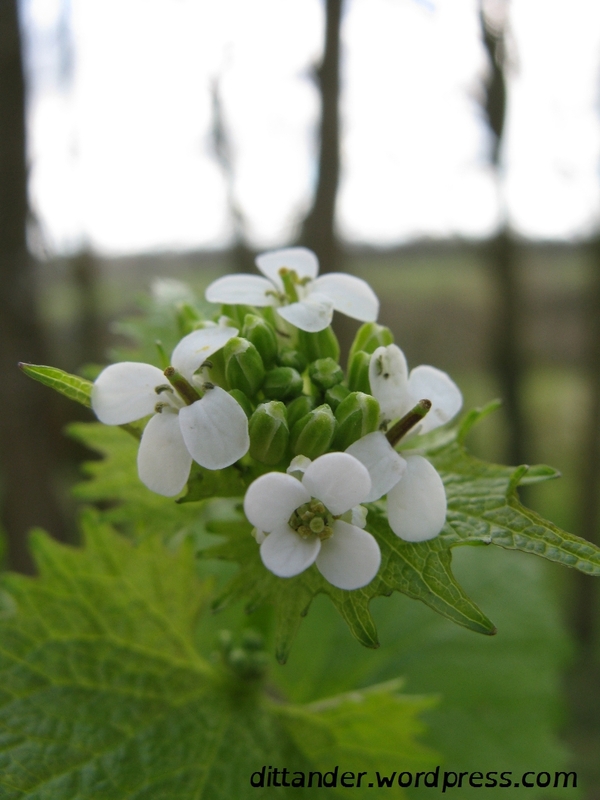 Unsurprisingly this common hedgerow plant tastes like both garlic and mustard. I think it is delicious, but some people are not keen on the slightly bitter aftertaste. Like other mustardy plants it is a member of the cabbage family; the clue is in the broccoli like buds and four petalled flowers. 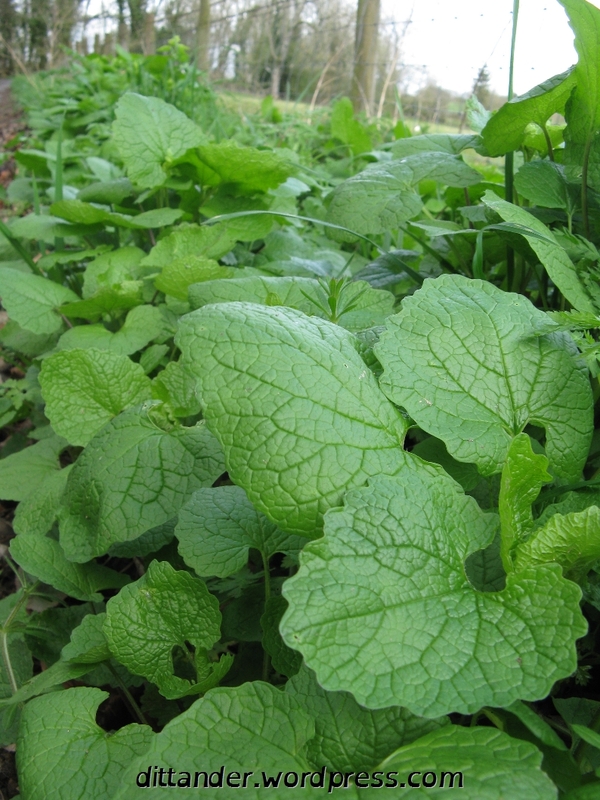 The leaves are cordate (heart-shaped) and smell of mustard when crushed, and the stems often have a purplish tinge. It is a biennial meaning it only flowers in the second year of growth. This generally means a longer picking season as growth is staggered depending on whether it is first or second year. 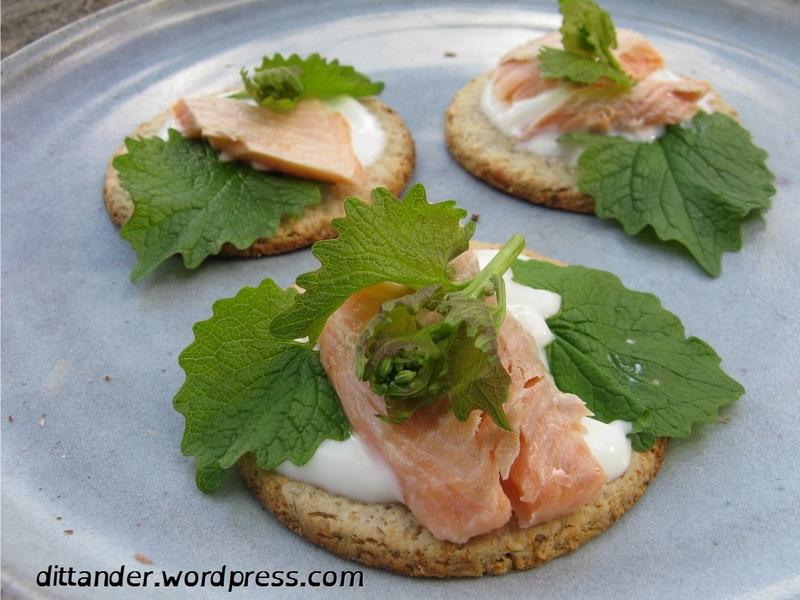 As with other mustards, the flavour does not survive cooking so I decided to eat it raw with some smoked trout & yoghurt on oatcakes. The yoghurt balances the bitterness of the leaves and their spiciness combines well with the strong flavoured trout. I just added it to eggs and mayonnaise and had it in a sandwich! Really delicious. I agree that something like yoghurt or mayo counteracts the slight bitterness but a dash of salt on the raw leaves also worked really well at bringing out the garlic flavour.